This inspiring book, began in 1926 as a series of informational pamphlets distributed by banks and insurance companies. By 1927, several of these pamphlets had been compiled into a book and this collection has been in print ever since. It has helped millions of people, and has been hailed as the greatest of all inspirational works on the subject of thrift, financial planning, and personal wealth. 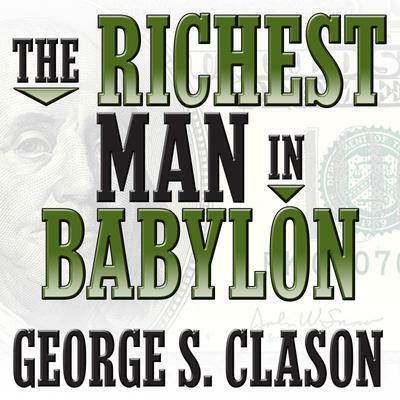 A modern day classic, it dispenses financial advice through a collection of parables set in ancient Babylon. These famous “Babylonian parables” offer an understanding of-and solution to-a lifetime's worth of personal financial problems, and hold the secrets to acquiring money, keeping money, and making money earn more money.